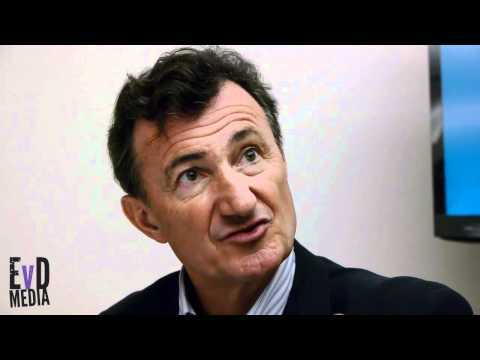 Few weeks ago, during SolidWorks World 2012, Bernard Charles, President and CEO of Dassault System announced 3D Experience. I posted about it on my blog before. You can navigate to the following link to read more about it – V6, 3D Experience and “after PLM” party. If you are following me on twitter, you noticed I’ve been visited Dassault System office in Waltham, MA yesterday. There is an advantage to be located close to PLM highway in Boston. So, when visiting DS office for some business meetings, I used this opportunity to ask people about 3D Experience, V6 and cloud. Here are few thoughts based on my discovery, conversations with DS people and customers about 3D Experience and “after PLM”. Bernard Charles is clearly the best person to listen about 3D Experience. Josh Mings of SolidSmack interviewed Bernard Charles just few weeks ago during SolidWorks World 2012. I recommend you to watch it over the weekend on HD screen in a “couch mode”. I’m sure you will learn a lot and also will have fun. Think about software, I can how world is moving towards “experience” from the old paradigm of “function”. One of the key elements, in my view is so called “consumer behavior”. Take a look on the slide from my presentation during PLM Innovation conference 2 weeks ago in Munich. Consumer behavior is what going to drive next wave of customer adoption. PLM was (and still is) long time “function-oriented” software. The shift towards “processes” PLM companies tried to accomplish brought some success, but mostly in large companies. The future PLM adoption is dependent on a new Gen-Y type of people and new software. The focus is how to get a job done, similar to how iPhone app can give you direction or order a table in the restaurant. To create V6 platform was a big deal for DS. Similar to what happened at Siemens PLM with TeamCenter Unified and some other PLM companies. It was about a single platform that was required to unify everything at DS. Thinking about some similarities of ERP world, it was like SAP R/2/3 platform or Oracle Fusion (still debatable how efficient Oracle Fusion is). So, DS made a compromises learning things from various versions of Enovia, MatrixOne and SmarTeam to create a new platform called V6. The idea of CATIA / V6 connection was about how to create brand new immesrive behavior and solve some old problems in Enovia / Catia integration. Customers and industry watchers took a “bundle” behavior as something dominant. In general, my feeling that DS failed to deliver a positive message with CATIA V6 empowered by Enovia V6, even if this software have a lot of powerful characteristics and functions. Back in November 2011, during DSCC 2011, Bernard Charles announced that DS spent 2B to create the best cloud online (PLM?) platform in the world. I don’t remember if Bernard mentioned “PLM” in that context, but my assumption is that DS V6 platform is indeed PLM platform. So, it is a cloud. Thinking about “anti-cloud PLM rap” I posted few days ago, I want to understand better what makes V6 cloud. If DS assumption about how run Enovia v6 on hosted servers is about cloud, we still have some lessons to learn. Watch my blog next week for more discussions about cloud and multi-tenancy, which is one of the important characteristics that can take PLM cost down. What is my conclusion? If you had a chance to read about Stanislavski – a Russian actor and theatre director, you’re probably familiar with his famous statement “theater begins at the coat-check-stand“. Take a look on the pictures I captured during my visit to DS office, and you will see parallels. 3D Experience starts at a front door to DS Office. Some people can say it meaningless, but I would disagree. This is a place where change begins. The biggest problem is how to make it happen. Few months ago, I presented the slide above during AU 2011 in Las Vegas.